Lloyds of London is an insurance market rather than a company and is located in Lime street in the City of London. It serves as a partially mutualised marketplace where multiple financial backers, known as underwriters/ “members”, or “Names” if you are an individual, come together to pool and spread risk. It is a corporate body governed by the Lloyd’s Act of 1871 and subsequent Acts of the Parliament. Ironically, Lime street was originally a place where they had lime burners – which was one of the most riskiest jobs in medieval times. Lime was used for making building mortar, which was in demand for the cathedrals springing up all over the country, and it was the job of the Lime Burner to heat chalk in a kiln at over 850 degrees Celsius to make quicklime. The dust it produced could cause blindness and spontaneously combust and would burn your skin. Historian and philosopher David Hume, in his history of England, recounts that early in the reign of Henry III, the English Navy destroyed an invading French fleet by blinding the enemy fleet with quicklime. The carbon dioxide/monoxide could also make the worker dizzy and he could fall into the kiln with ease, so it was probably a relief that this business was moved away from London and the area took up insurance instead. 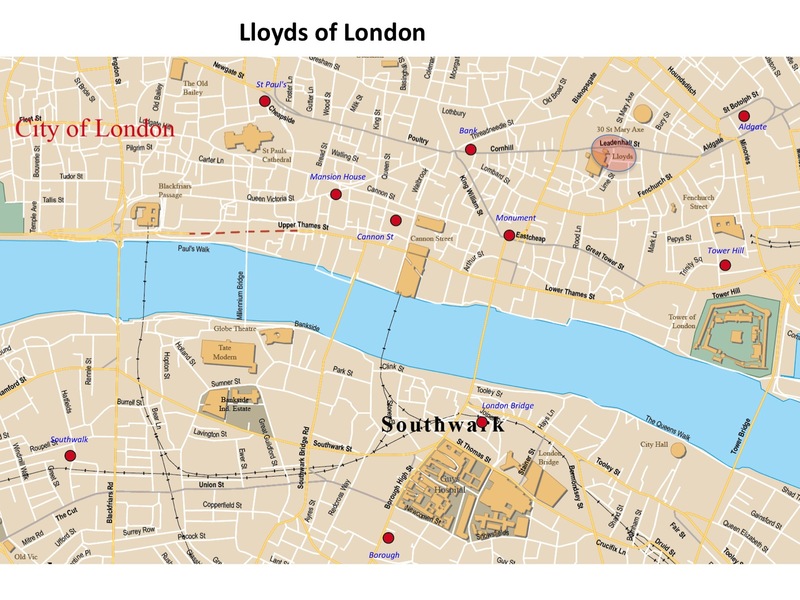 The Lloyd’s building (sometimes known as the Inside-Out Building) is a leading example of radical Bowellism architecture in which the services for the building, such as ducts and lifts, are located on the exterior to maximise space in the interior. Twenty-five years after completion in 1986, the building received Grade I listing in 2011.It is said by English Heritage to be “universally recognised as one of the key buildings of the modern epoch. It is a great building to photograph, although it is getting more difficult as more new buildings are being built around it. However, the exterior features make for some great abstract pictures.